Freeview has launched a series of new ident-style adverts in its latest campaign to raise brand-awareness of the platform. Consisting of basic visuals and a voiceover by Cold Feet star Robert Bathurst, the new campaign is from ad-house Anomaly. 300 different versions of the advert are due to be screened in the coming year, with the voiceover referring to the content of the programme the adverts are shown in, often congratulating viewers who are watching the programme for free on Freeview, rather than on pay TV platforms - highlighting "The Other Way" to watch TV. The adverts are being shown on ITV, Channel 4 and their offshoot channels, as well as on UKTV owned channels. Freeview turns 14 at the end of this month. What a revolutionary idea - and a big contrast to previous campaigns featuring helium balloons, a cat and a budgie and last year's campaign that associated pay TV with some authoritarian regime... It comes at a time when the big pay TV giants are happily bundling consumers into lengthy contracts covering everything but the kitchen sink, despite viewers mostly watching what's being shown on channels that are on Freeview. 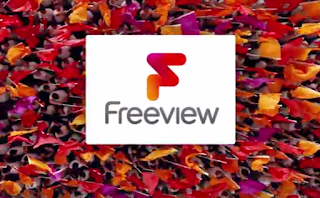 And certainly for viewers who live in an area that benefits from the full range of Freeview channels and a good strong signal, Freeview is well worth a look following many recent additions to the platform and the launch of connected TV hybrid service Freeview Play. With a number of channels from ITV, Channel 4 and UKTV being available in standard definition on Freeview, but not in HD, there's a possibility that viewers will be told that they could watch this channel or programme for free on Freeview, without being told that it's only free in SD, or 3/4 SD resolution. This might not matter to some viewers, but with consumers buying ever bigger TVs, HD vs SD or 3/4 SD resolution might be very noticeable and considered a substantial difference. 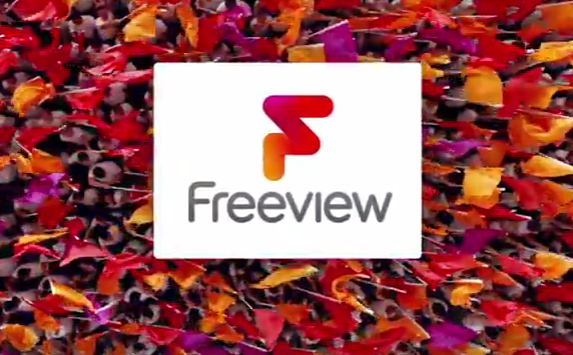 BT TV is also the target of the new Freeview ident adverts - interesting because viewers seeing these adverts with BT TV may well be watching thanks to Freeview, as BT TV is in itself a hybrid of Freeview (channels 1-299, 600-799) and internet pay TV (channels 300-599). Here it's probably better to point out that if a BT TV user never watches any of the channels between 300-599, they're better off with Freeview, otherwise they're doing what users of Now TV, Netflix and Amazon Prime are already doing: adding premium channels to a core base of Freeview channels - albeit with a lengthy contract. BT TV is based on YouView, a TV platform that was developed in part by the shareholders of DTV Services Ltd, the company that operates Freeview.